The total solar eclipse starts around 10am Pacific time and ends on the east coast around 3pm, with a partial eclipse on either end of that. 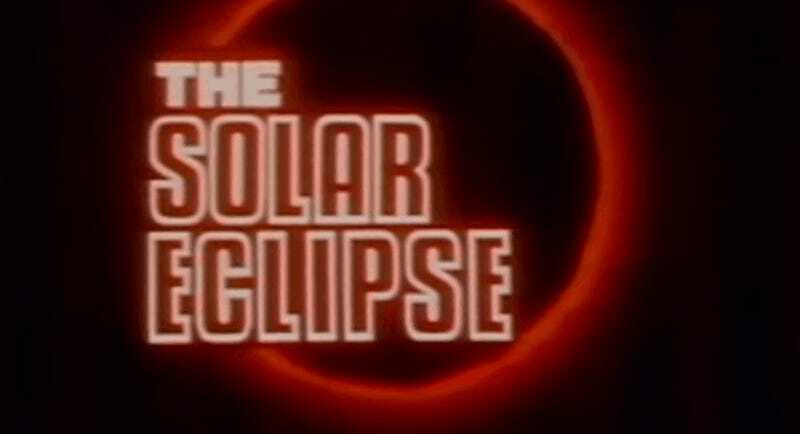 The eclipse itself will last less than 3 minutes from any vantage point, but even if you’re not one of the millions of people expected to flock to the path of totality to view it in person, you can still watch online thanks to this glorious invention called the internet. Below we have livestreams on everything from YouTube to Facebook to virtual reality. Some of the streams even include a 360 degree feature that lets you swivel your head like you’re really there. So don’t despair. Watching online also allows you to avoid permanent eye damage. Not to mention the fact that it lets you avoid having to be near other humans. PBS Newshour has a livestream of the solar eclipse on YouTube. NBC News has a livestream of the solar eclipse on YouTube. And CBS News has its own stream of the solar eclipse on YouTube. Time magazine also has a special 360 degree livestream on YouTube from Casper, Wyoming that allows you to click and drag. Gizmodo has a livestream on our Facebook. NASA is streaming the solar eclipse on its Facebook page. CNN is also livestreaming on Facebook. Twitter is partnering with The Weather Channel to provide a livestream of the solar eclipse. Twitter has live shots from 10 different locations as it moves across the country. Virtually every news outlet will also be streaming the solar eclipse on their websites, including NBC News, ABC News, and CBS News. CNN also has a virtual reality option that you can find on its website. If you have a VR headset, or even if you don’t, there are different ways to watch in “virtual reality” over at CNN. And if you’re watching live, you’ve no doubt heard the warnings. But they’re worth repeating. Don’t stare at the solar eclipse directly. It will cause permanent damage to your eyes, and it’s no joke.